Ethics: the branch of philosophy dealing with values relating to human conduct, with respect to the rightness and wrongness of certain actions and to the goodness and badness of the motives and ends of such actions. You know that feeling of awesomeness when you find something new on the internet? Call me weird, but I had that awesome feeling late last night when I found myself on the PETA FAQ. I was instantly hooked. I’ve heard so many crazy things about PETA over the years, but realized it was all hearsay. Now it was my turn to do a little research and find out for myself. I read everything on that FAQ. It’s 15 pages long with 15 questions each. I’m not sure what I was expecting. It lacks statistical data, has quite a bit of propaganda, and most questions are about the the morality on a wide variety of issues. I certainly got a nice ethics lesson at 3AM, and it comes right from their own weird set of ethical standards. Here are some of the highlights from my 3AM adventure on the PETA FAQ. Looking at some of their past ads and protests it’s pretty clear right away that they certainly have no problem skewing religion to fit their views. 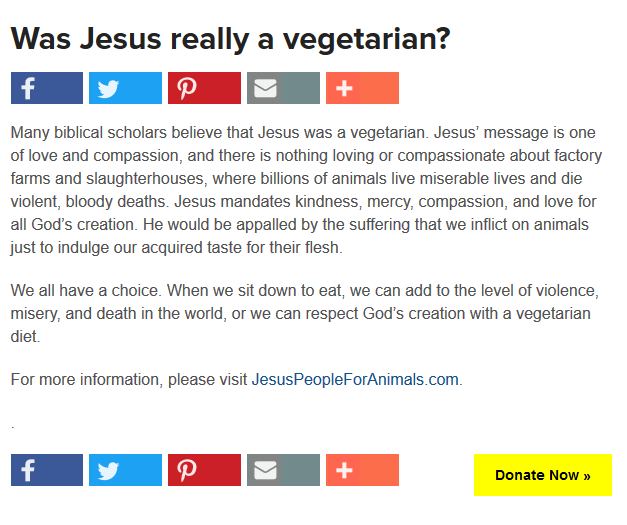 “A Pig Died For Your Sins” and “Holocaust On Your Plate” are a couple that stand out. Seriously, are they just trying to offend nearly everyone on the planet? But apparently it’s perfectly fine to call out pro-life people who aren’t vegetarians as being pro-death? By that logic I wonder what they would classify a pro-choice vegans as? Does the possibility of such a person existing make their brains explode? I wonder if they also target people who are against the death penalty. By their ridiculous logic such a stance would implicate that they’re pro-life, and therefore they should definitely be vegetarians. That sort of black & white thinking irritates me. Animal rights & abortion are two completely separate issues. We each choose what we believe in and what side we belong to. And for many of us these are not just black and white issues, there’s a lot of grey matter in the middle. The definition of violence reads: behavior involving physical force intended to hurt, damage, or kill someone or something. Now it is true that you’re probably not going to cause physical harm with a pie, but it’s still a physical attack. I assume the intention is to humiliate, scare and shock the subject, and pie throwing certainly does all three. I suppose it’s “better” to throw a marshmallow at my boyfriend’s face rather than my keyboard, but why are either good options? From a moral standpoint I find it hard to justify that sort of behavior for the sake of a personal agenda, and in PETA’s case it’s no doubt to gain attention. But they still find it acceptable to call out pro-life people for not being vegetarians, and they’re comfortable comparing your dinner to the Holocaust. 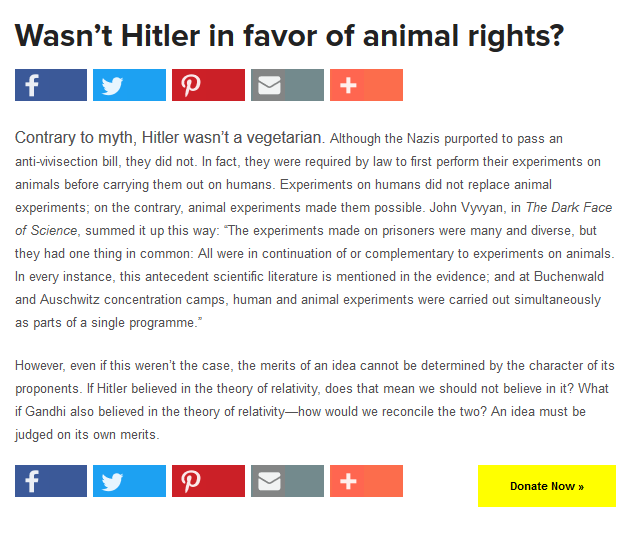 So remember it’s OK for them to bring up the Holocaust when it comes to meat, but it’s not OK for you to ask about Hitler’s stance on animal rights since it’s completely unrelated. They have a crafty way skewing their own views into religious, personal & political matters. They do have some valid points, but unfortunately they’re all tainted from the ridiculous claims & campaigns they attach to them. What’s really disturbing to me is that these don’t even scratch the surface when it comes to PETA’s tactics. They’re just a small sample of what they’ve chosen to address on their own site. I don’t know if I consider PETA crazy. They know that their controversial tactics get attention, and perhaps that’s all they want. They use bullying, shock & fear tactics to get their message out, but in the end that just turns the majority of people against them. If we consider insanity doing the same thing repeatedly and expecting different results perhaps they’re just insane, not crazy…If they’re looking for new followers at least. PETA knows how to get attention, but I’m not so sure that attention helps to further their cause. Turns out people are offended when you question their religious & political beliefs by comparing them to your personal beliefs about animal rights. How much of the negativity attached to PETA carries over into the animal rights movement as a whole? It’s hard to say, but it’s pretty sad when reasonable people have to assure others that yes, we’re into animal rights, but we’re not PETA levels crazy about it. 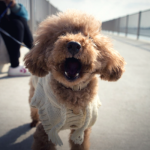 There’s already enough debate within the animal rights community itself on the topic of animal rights. We don’t need to add political, personal & religious matters into the discussion. But perhaps the extreme views held by some in the animal rights movement helps to explain why the terms animal welfare & animal advocacy are so popular. 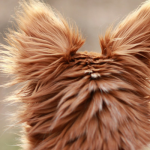 As individuals we can support efforts to end suffering in animals, and we should be able to do so without having our religious & political beliefs questioned. Any sort of extremist group bothers me, particularly this one. I have read many unflattering things about them over the years. One of my best friends is a vegan, and she despises PETA. They’re certainly something alright, and to think those screenshots are just what they’ve decided is the best representation of them to have on their own site… It doesn’t even scratch the surface on all the other stuff I’ve heard about them over the years. Your post made me realized that they are weirder than I though But I might have to support them just to see them throw more Tofu. Just kidding!! 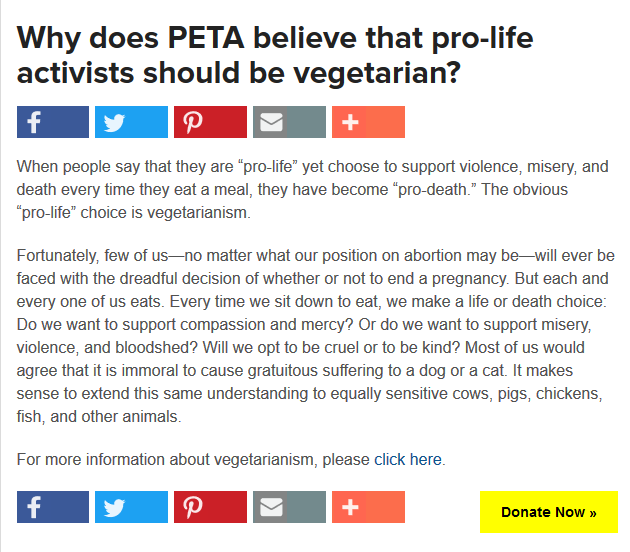 Let’s face it, peta’s lack of ethics will drive you crazy! I’ve heard some horrible things about them so I’m not surprised by what you found. 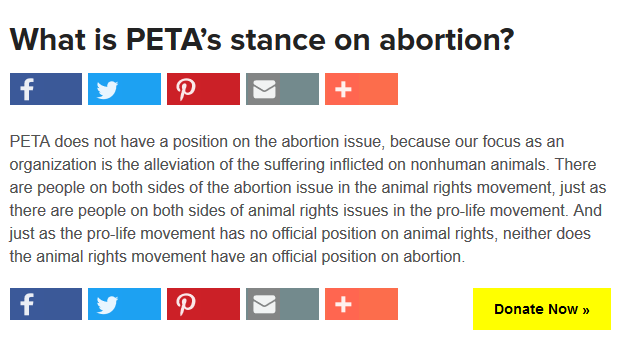 I think most of us are on the side of the animals, but I really question whether PETA is or not. For myself, I prefer to donate to small, local (where I can check them out) rescues. Exactly, and this stuff I found is just from one visit and it only represents what they want to show.. They have such a strong belief that their morals are the correct ones, which in and of itself would be fine but I certainly don’t like how willingly they call out others based on their own personal choices. One of the things I heard was they are big proponents for the eradication of Pit Bulls. 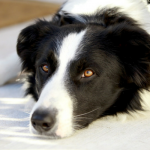 And of course there have been cases that made the news where they’ve stolen a pet and euthanized it. They sent me some propaganda once asking for a donation and it was definitely a worthy cause. They asked if I wouldn’t want to help and I wrote back, “I absolutely do want to help, but not to an organization such as yours”, or something similar, and I sent it back to them. Haven’t heard from them since. 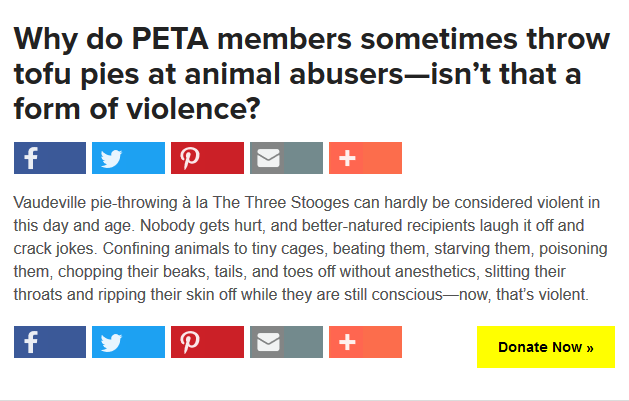 Some day, I’d like to eradicate PETA. I was appalled when I was researching their methods regarding euthanasia. 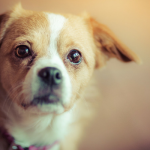 They do believe that many dogs are better off being euthanized rather than having to wait to find a home, which is how they justify the horrible kill rates that their places have. 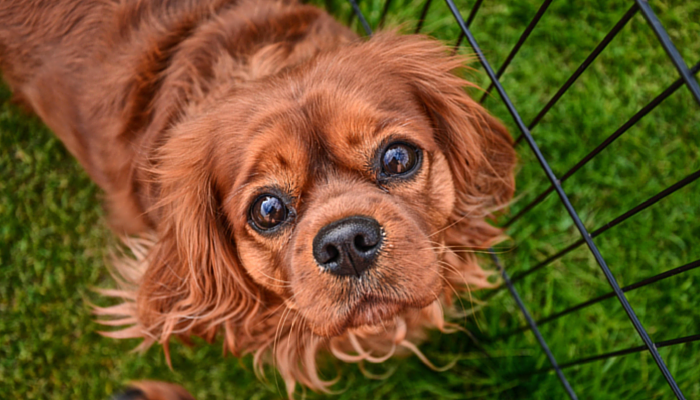 I don’t know how anyone can claim to know what’s “best” in these circumstances, and their strong stances and willingness to euthanize healthy companions animals makes me wonder if they themselves aren’t suffering from a God-like complex. It’s beyond perplexing to me. A lot of what I know about PETA makes me very uncomfortable! I was laughing as well, I just couldn’t believe half the stuff they post on their own site. I’m with Ann… some of these made me laugh out loud (and your rebuttals were even better!) It’s not at all a funny subject, but they’ve just made it so absurd with some of these statements…. OMG. How did anyone else not think to read them before? LOL! Thanks for the laughs. Wow.